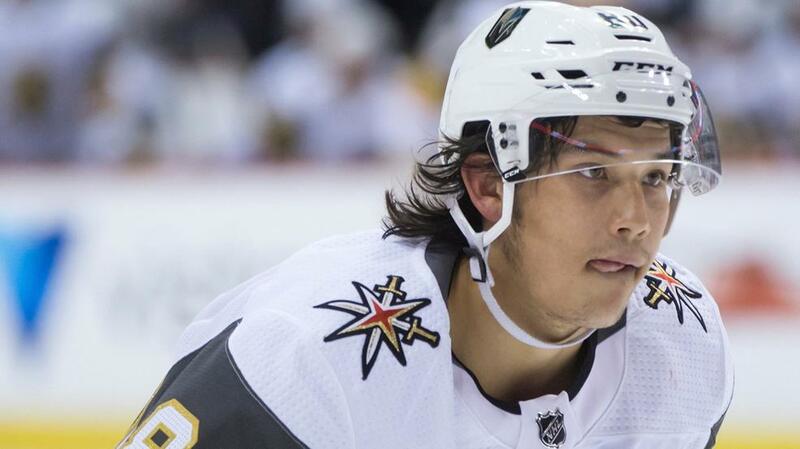 Vegas Golden Knights forward Tyler Wong played in their first ever preseason game and scored their first ever franchise goal. Now, I know what you are probably thinking. How on earth can I write a throwback post about a player on a team that has existed for less than 1 year. It is a valid question, and there are no little tricks that I could use, like talking about a player who played for a team that used to be in Las Vegas, like I could have done with Winnipeg. (Unless I wanted to dig into the minor leagues and the Las Vegas Thunder). Maybe that could have worked, but I chose a different route. In some ways, this throwback article goes back the farthest of any of these posts – all the way back to the franchise’s first ever goal – in its first preseason game – a goal scored by undrafted 22-year old rookie Tyler Wong. Maybe you remember the name and the game. Vegas beat the Vancouver Canucks 9-4, and Wong scored three of those goals. In case you missed it, here is Vegas Golden Knights first ever hat-trick. 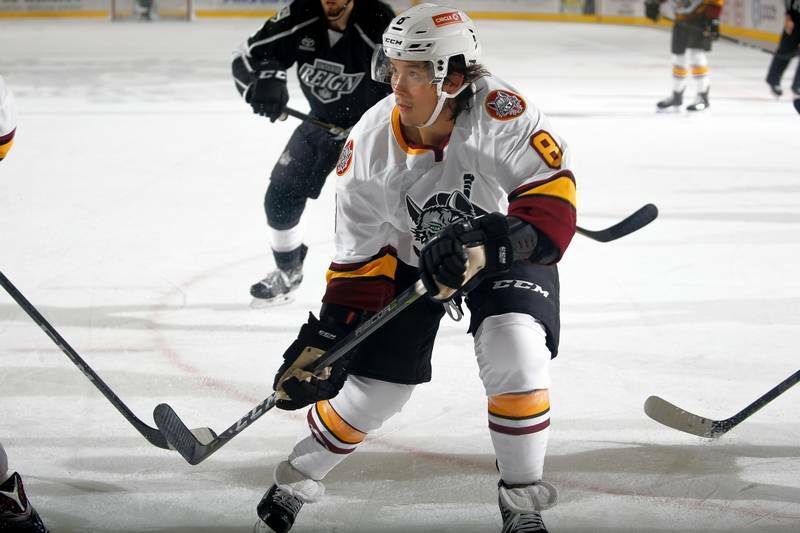 Wong played the majority of the 2018-19 season with the Chicago Wolves. 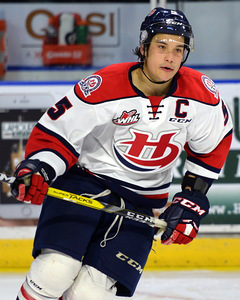 Wong was captain of the Lethbridge Hurricanes in the Western Hockey League. He helped grow a chapel group there and vows to do the same anywhere his career takes him. 1- Leaving a Legacy – Last time out, I wrote about Ryan Walter and all the people that he has influenced in his career and in life after hockey. And he came to faith in God due to the influence of teammate Jean Provnovost, who in turn came to faith from the influence of teammate Ed Kea. Wong knew that it was important that he make his faith in God a priority and from that place, grew a chapel group with his Junior team. Wong talked about how he knows that wherever he goes, he wants to help chapel groups and Bible studies grow. This makes me do a quick inventory for myself. What are some ways that I can create opportunities for people around me (neighbors, co-workers, family and friends) to encounter the God who created them, loves them and offers to save them from the penalty that their sins have earned them. It is amazing to think that God could use me to influence many, MANY lives for God’s kingdom. I’m in! Wong was awarded WHL Humanitarian of the Year 2 years in a row in recognition of his service in the community. 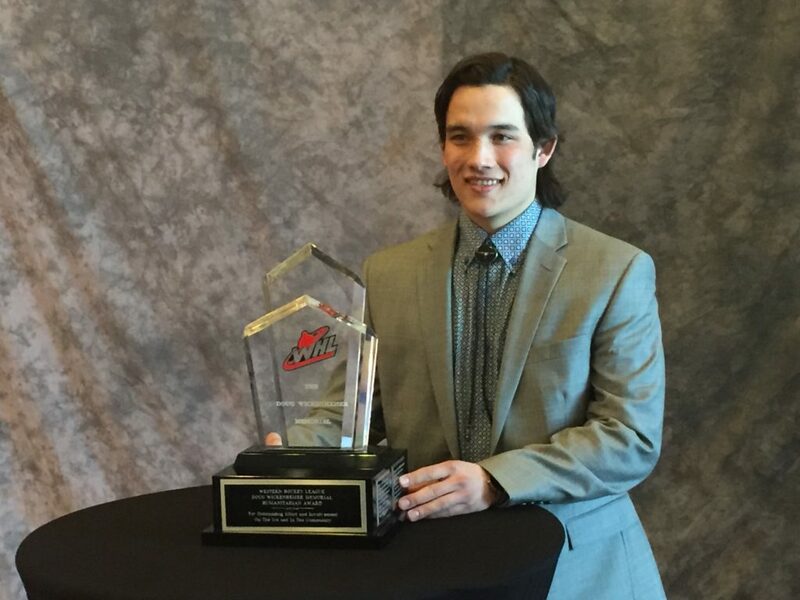 2- Reaching your Community – Tyler Wong won the Western Hockey League Humanitarian of the Year award 2 years in a row. I watched a tribute video that Lethbridge Hurricanes put together for Wong, at the end of his career with them. Among the highlights and pictures of Wong we see him and his teammates participating in many community events. There were food drives, hospital visits, and other events that connected with the fans in the area. This continues my first takeaway as well. Our influence can extend beyond the people we are directly in contact with in our daily lives. We can always be on the lookout for ways to serve others. Maybe it is volunteering at a food shelf, or cleaning up, or visiting shut-ins in hospitals or nursing homes. There are prison outreaches, and loads of volunteer opportunities. The challenge that I take away from this is to be aware and on the lookout for opportunities to serve other people, formally or informally, and then take action. God calls us to follow the example of servitude that Jesus modeled for us. Will you join me?